Slice up some strawberries and place them in an ice cube tray. Fill the tray with water and put it in the freezer for at least a few hours. Mix two parts 7up or Sprite with one part sparkling apple and pomegranate juice. If you prefer it to be less sweet, you can just use sparkling water. And the ratio is really up to you as well. Really, you could use any combination of juices/fizzy drinks that you want as long as it’s a red, pink or clear. Slice some whole strawberries partway down the tip to use as garnish. Et voila! 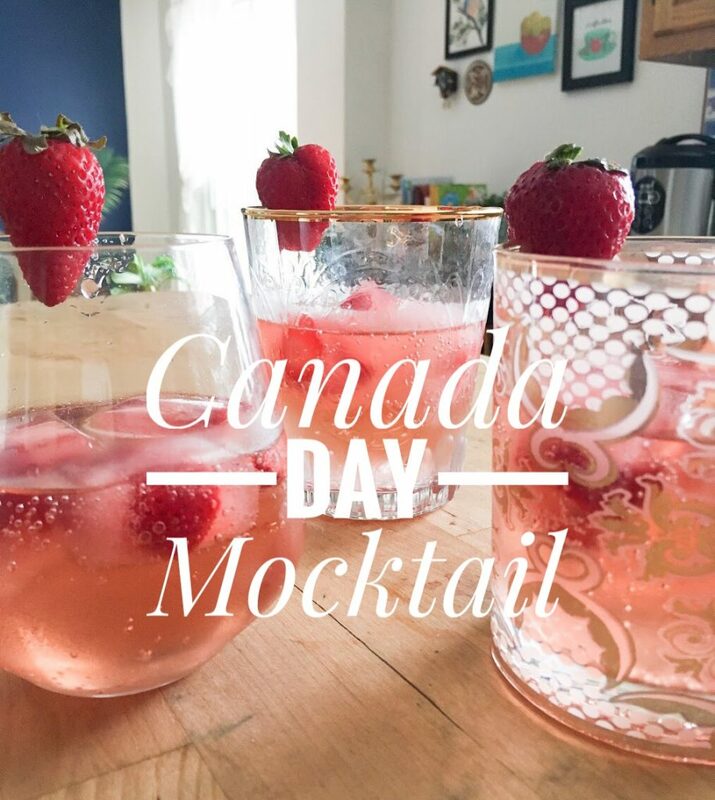 A perfect summer mocktail for any BBQ, picnic or patio party!